Practising Company Secretary from Ahmedabad, Expert of Corporate Law Consultancy,Pursuing Ph.D,Corporate Trainer,Visiting Faculty at IICA & ICSI Ahmedabad Chapter,Research Enthusiast & Socialpreneur. Success to me is all about being happy in what I pursue. I choose to be happy to be successful. What are your professional strengths? What weaknesses do you think you have? I am emotional at times. Yashree Dixit & Associates, Company Secretaries: A Name in Corporate World. To be able to meet international standard of professional services. Friendly environment which motivates me to push harder towards learning. I look after ROC Compliances and other secretarial assignments including maintaining Statutory Registers, Minutes and other Records. 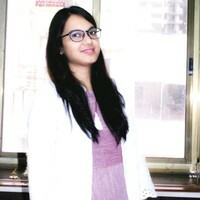 Yashree Dixit is a Company Secretary in practice and Pursuing P.hd in Analysis of Corporate Governance at GLS University.has a proprietor of Yashree Dixit & Associates at Ahmedabad. Apart from that Designated Partner at Acron Ventures LLP. she is Consultant, Independent director, writer, entrepreneur, Advisor, & Visiting faculty in various CS coaching Institute.